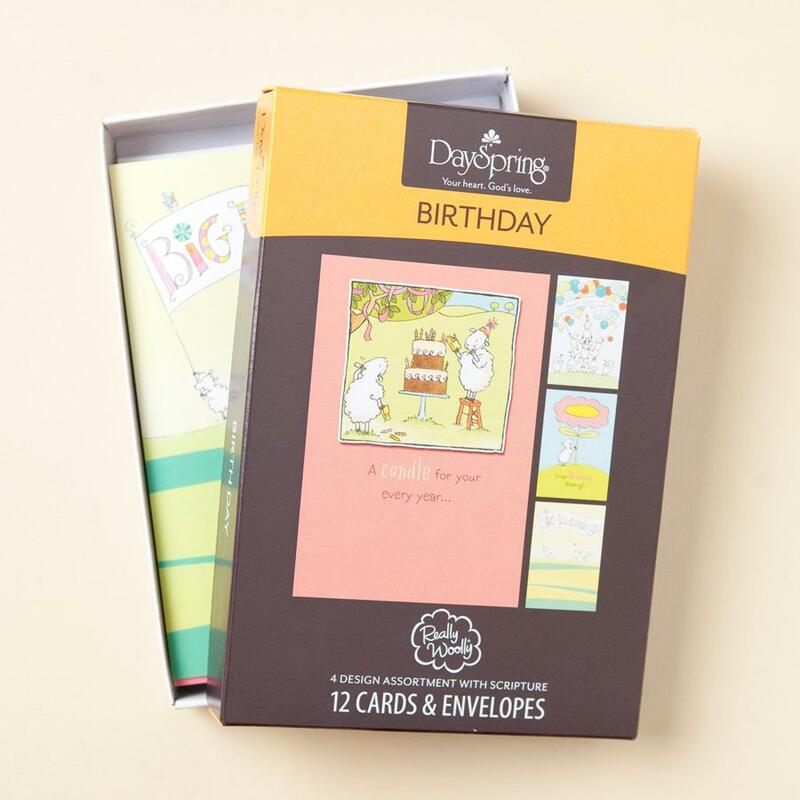 Celebrate the birthday of someone special by sending one of these adorable Really Woolly cards, a DaySpring best-selling card line! - Folded card size: 4 1/2" x 6 9/16"
...and many blessings all year too! You're the Shepherd's hand-picked joy! The Shepherd's blessed many with another year of you! ...still wouldn't shine as brightly as you! Have a brilliant birthday! Really Woolly - Birthday - Blossoming Blessing - 12 Boxed Cards was published by DAYSPRING CARDS in June 2012 and is our 919th best seller. The ISBN for Really Woolly - Birthday - Blossoming Blessing - 12 Boxed Cards is 081983480669. 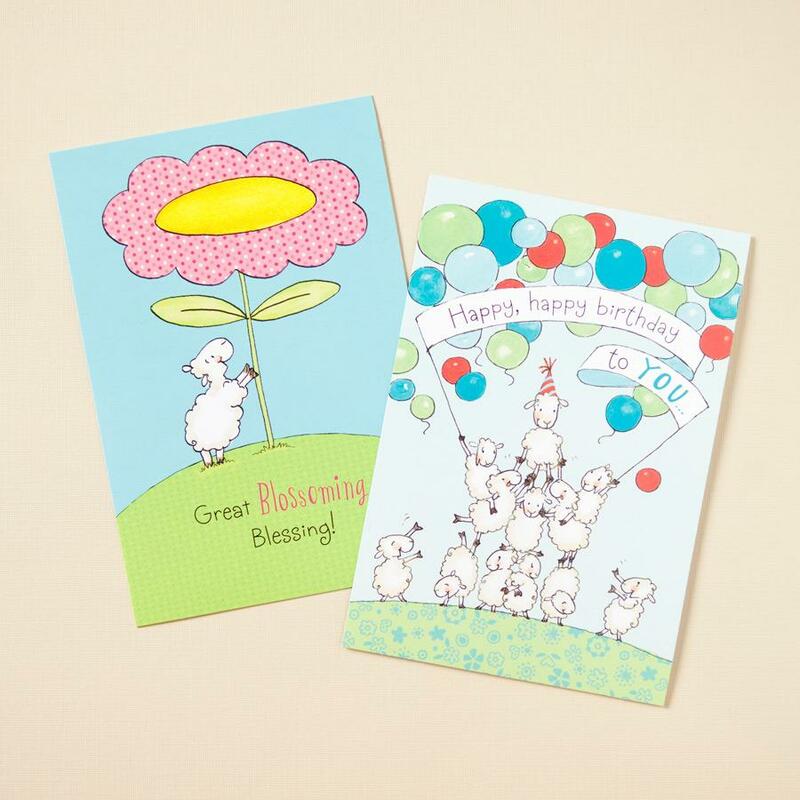 Be the first to review Really Woolly - Birthday - Blossoming Blessing - 12 Boxed Cards! Got a question? No problem! 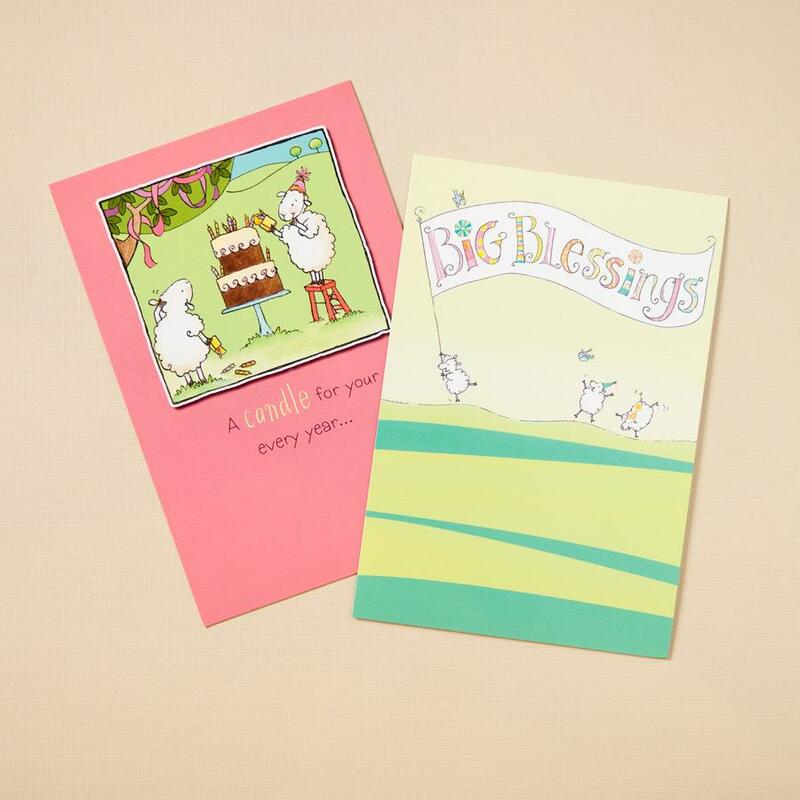 Just click here to ask us about Really Woolly - Birthday - Blossoming Blessing - 12 Boxed Cards. What is the wording inside the cards, please?